From a geological point of view, the Pyrenees, are spreading North to the Aquitain Basin, South to the Ebre Basin and West to the sierras of Cantabrian Cordillera. The Pyrenees are young mountains with their highest peaks made of ancient rocks. The range inherited a geologic past that successively saw the formation of a first mountain followed by a sea. Fossils found in sediments confirmed that a sea existed before the mountains. 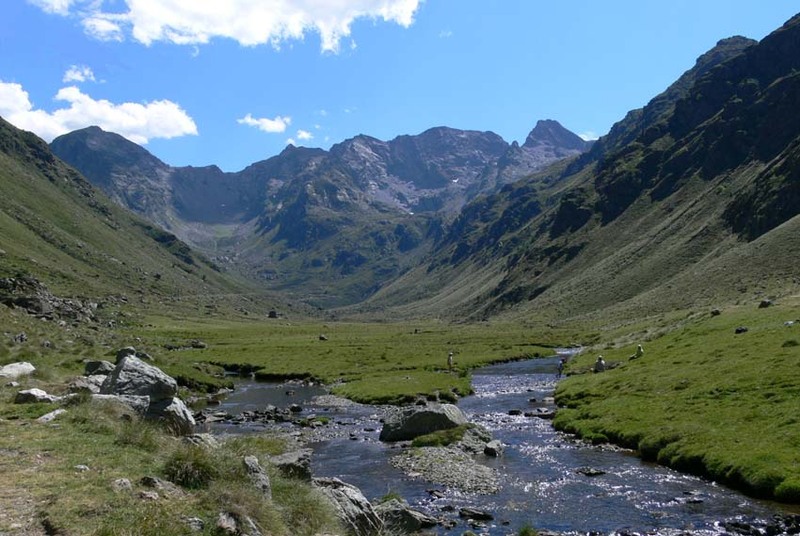 If Pyrenees are young mountains – dating about 40 million years – that has emerged from the collision of the Spanish and the European earth patches, they are the result of 500 million years of landscapes shaping. The massif is made up of older rocks formed by processing sediment deposits during hundreds of millions of years. The study of these rocks allows to better understand climatic evolutions, especially calcareous features that led to think that these rocks were formed during a tropical atmosphere. At altitude, older rocks are mostly predominant. 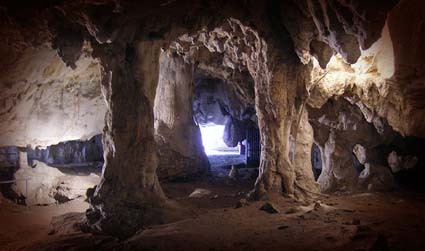 To the West, there are many limestone layers, which explains the many caves and karstic network, whereas the oriental part is mostly made of granite and gneiss. At the heart of the range, we mostly find rocks like granite or gneiss. The quite recent glacial erosion (one million years ago) has shaped the current reliefs, created large characteristic north to south valleys , cirques and numerous lakes, most of them being from glacial origin. It is also the erosion of sedimentary rocks for four millions years that has dissolved limestone and started digging deep ditches in the landscape, resulting in the creation of famous landmarks such as the organs, or “cheminées de fées” from Ille-sur-Têt.